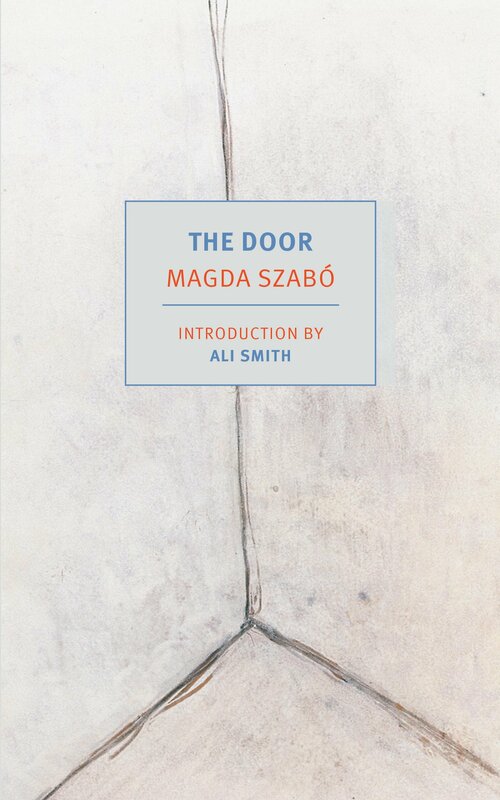 The shimmering, haunting brilliance of Magda Szabo’s The Door binds like a spell. This is a book to thrust into the hands of everyone you know and love and to clam up trying to explain what it’s about, lost in the dizzying expanse of Szabo’s prose. It’s about a friendship, but so much more: the love and hatred that boils between Magda (perhaps a fictionalized version of the author) and her eighty-year-old housekeeper Emerence plumbs to an emotional, historical depth that grows beyond such a simple word. The Door unlocks something bigger than friendship: it is a story of two souls, from two different generations and socio-political realms, caught in sudden alignment. Szabo finds the emotional core of her two characters and stabs them slowly, exquisitely, into ours. Originally written in Hungary in 1987, The Door seethes under the mantle of a familiar story: a mismatched pair teeters between friendship and loathing, influenced not only by their social class and generation but their raw constitution. Emerence is under Magda’s employ, but quickly her role evolves: she keeps peculiar hours with her cooking and cleaning, remaining distantly devoted to Magda and her professional tasks. Some days Emerence won’t show up at all, leaving Magda feeling helpless without her. Emerence seems to feed on this helplessness, and at times seems to exploit Magda and her husband’s need for a maid, and perhaps their need of something more. At times she treats them like children, bringing them peculiar gifts, and at other times like a therapeutic confidant. She doesn’t warm to Magda but begins to open up with remarkably tragic stories about her childhood in Hungary and her time before the war. In one early story, Emerence, in blocks of monologuing text, recounts the deaths of her younger twin siblings by lightning strike and how “they looked like nothing you would consider human.” She discloses to Magda her dreams of building a crypt for her family, exhuming and relocating the bodies of her kin so they could all rest together. Her stories flow like folktales, and Magda at her most cynical almost believes them to be lies. While not an overtly political novel, Szabo situates Emerence in the eddies of a changing country. “She understands nothing of the modern world, and she takes almost everything the wrong way,” Magda tells her husband in the aftermath of a recent fight. “When I wanted to explain the importance of land reform to her, she slapped me and screamed that she wasn’t interested in what happened in ’45; it was nothing to do with her; she got nothing out of the changes.” While hints are strategically placed throughout the book to give particularly careful readers a historical context, it remains clear amidst The Door’s political haze that Emerence stands for the Old Country, of a system of values rooted in labor, hardship, and mortal impermanence. 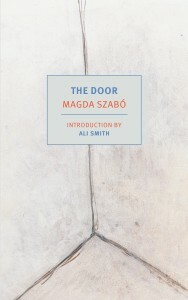 While most of The Door revolves around the complex relationship between Magda and Emerence, Szabo builds towards a tense, central conflict after Emerence leaves Magda’s house in a fit and shuts herself into her home. Emerence is wildly protective of her realm, and the novel repeatedly alludes to the trove of World War II treasures that she amassed from the various families she’s worked with in her long life. Magda’s never been inside but knows that trespassing, even in the face of a medical emergency, would break apart the peculiar, but resonant bond they had previously formed. The Door will remain with readers as its actions remain with its narrator, with a sinking feeling that something else could have been done to save these characters from each other, and themselves. This is the best rv of the book I’ve read. You’ve covered an enormous amount of ground in a short space. Thank you so much for your comment! The Door absolutely floored me I’m thrilled to spread the word of how great it is. …I don’t know about you, but little moments of The Door still follow me around. I’m particularly haunted by a scene on Emerence’s porch, related to, ahem, one of her cats. One of the finest, most cinematic scenes I’ve ever read. A masterful moment of tension, strangeness, and pathos.